Ponding or Flooding is serious business in Singapore. As such, our national water agency under the watchful eyes of the Singapore Public Utilities Board (PUB) is closely monitoring potential ponding spots island-wide. Public can find out which areas have been hit by floods by checking closed-circuit television (CCTV) images posted every five minutes. The images are from various flood-prone areas and hotspots island-wide, including areas such as Orchard Road, Shenton Way, Bukit Timah Road, Upper Thomson, Tampines and Woodlands. 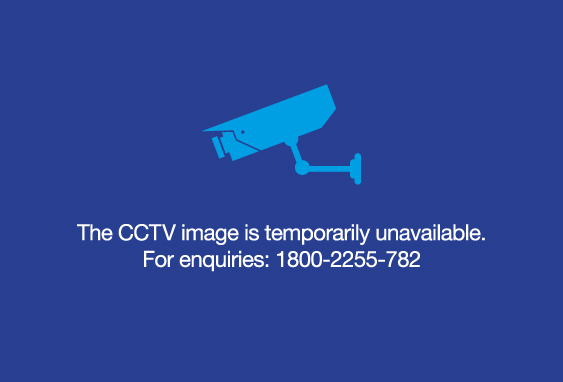 These selected CCTVs are located at roads with higher traffic flow. The CCTV images will help to improve public preparedness as part of Singapore’s overall flood management effort. This enables us to deploy manpower on site faster in the event of a flash flood and provide more timely updates to the public. Besides camera, there are water level sensors located all over Singapore. Singapore is tropical island surrounded by seas, Singapore receives abundant rainfall especially during the monsoon seasons. The average annual rainfall is about 2,400mm. Singapore experienced wide-spread flooding during the monsoon seasons, especially in the city centre, which was built on relatively low-lying land. Today, Singapore is relieved of prolonged floods. Most times, our drains are able to cope with the rain that we receive. However, extremely heavy rainfall can sometimes exceed the capacity that the drains are designed for, especially in low-lying areas. That is when flash floods, small and localised floods that come and go relatively quickly, may occur. Flood prone areas are those areas which are low-lying, with a history of flooding. Hotspots, on the other hand, are areas which are not low-lying but had experienced flash flood. With drainage improvement programme, PUB has reduced flood prone areas in Singapore from about 3,200 hectares in the 1970s to 49 hectares by 2012. With continuous drainage improvement works, this will be further reduced to 40 hectares in 2013. Flooding Spots around CBD. Stamford Canal Water Level Sensor. Flooding Spot: Tampines Street 81. Sungei Bedok Water Level Sensor. Flooding Spot: Woodlands Road and Mandai Road junction (Sungei Kadut area). Sungei Pang Sua Water Level Sensor. Flooding Spots: Sixth Avenue to Robin Road. Bukit Timah Canal Water Level Sensor.